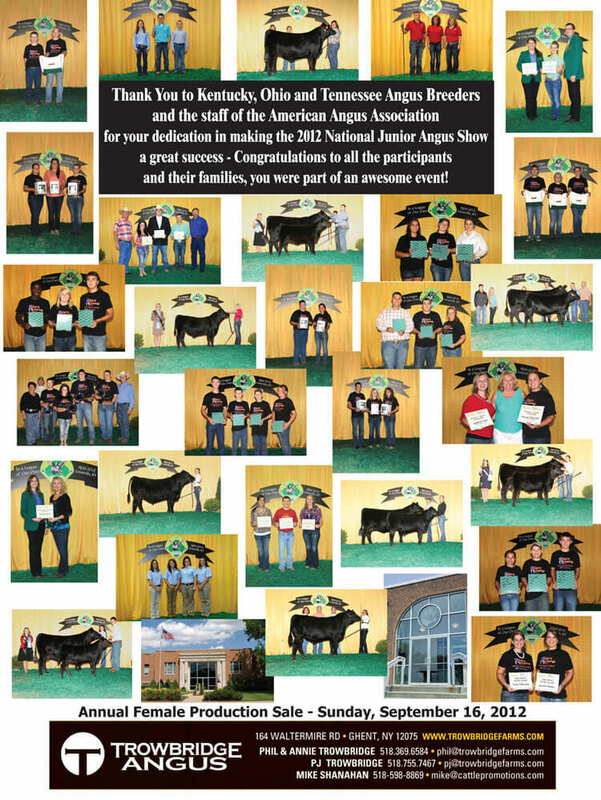 Thank You to Kentucky, Ohio and Tennessee Angus Breeders and the staff of the American Angus Association for your dedication in making the 2012 National Junior Angus Show a great success ‐ Congratulations to all the participants and their families, you were part of an awesome event! 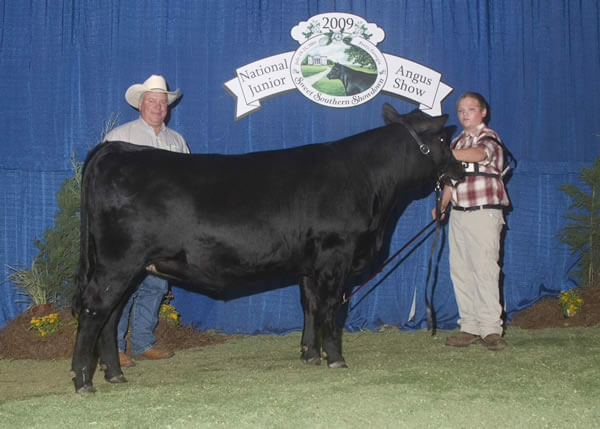 And VA Breeder’s Show Champion Female 2010 goes to a female bred by Trowbridge Angus. 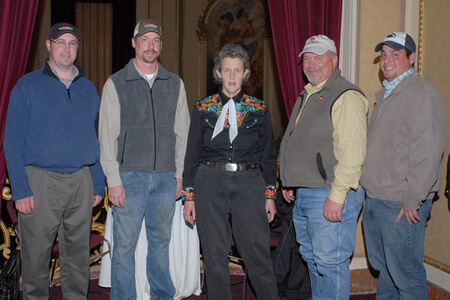 Congratulations to Triara Genetics, Quebec, Canada, and then to Whitestone Farm, VA.
Trowbridge Angus began in Corfu, NY in 1957 when Paul Trowbridge, Sr. bought their first Angus cow from Wendland Angus in Millgrove, NY, from a gentleman named Bob Colsett. The cow was a daughter of Prince Sunbeam of Shadoe Isle 78. This was the start of the Trowbridge Angus legacy that will celebrate its 50th Anniversary in 2007. 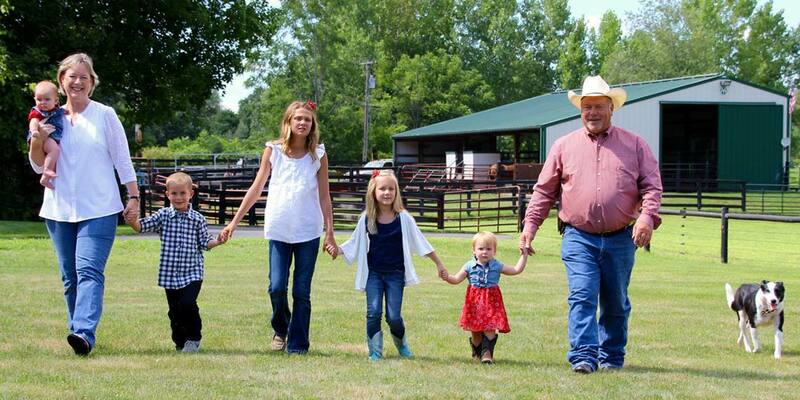 With the goal of getting his eldest son, Paul, Jr., into 4-H and for his other eight children to follow, little did Paul, Sr. know, that the impact Angus cattle would have on the lives of his kids would stay forever. 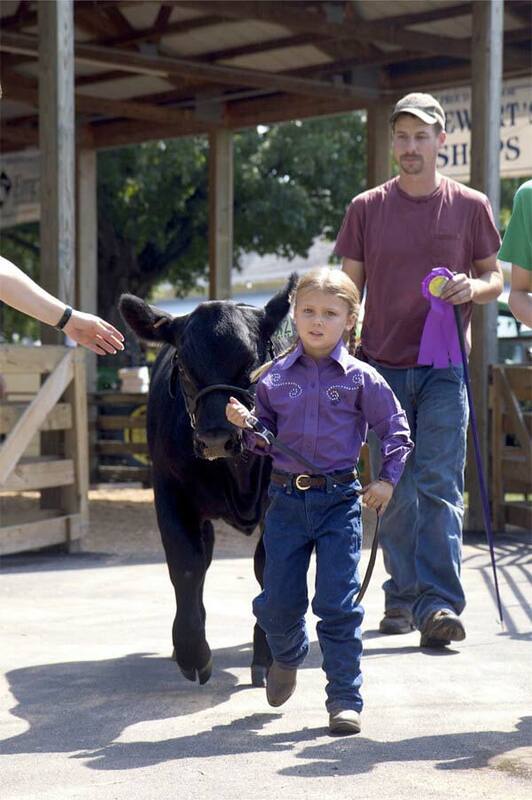 All were involved in the day to day care and showing of their Angus cattle as they were growing up, though, a few of the children went on with their interest even further. Paul, Jr., “PJ”, worked at Bippert’s Farms for many years, as well as Elm Place Angus Farm, both in Western NY, and now has cattle on their home farm in Corfu, NY, as well as being the author of “A View from the Tractor Seat” column that many read in agricultural publications every month. Paul’s son, Aaron, went on in the Angus business as well, and managed Highfield Angus Farm in Clinton Corners, NY for some years. 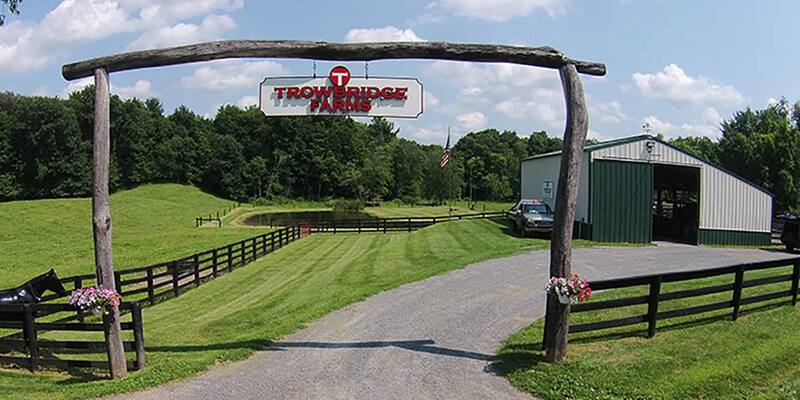 Patrick Trowbridge, the youngest son of all of the Trowbridge family, made a name for himself managing Fairfield Farms in CT for years, and then went on to Cobble Pond Farm in NY for some time. Today, Patrick and his wife, Mary, run a successful Arabian horse business in Connecticut. 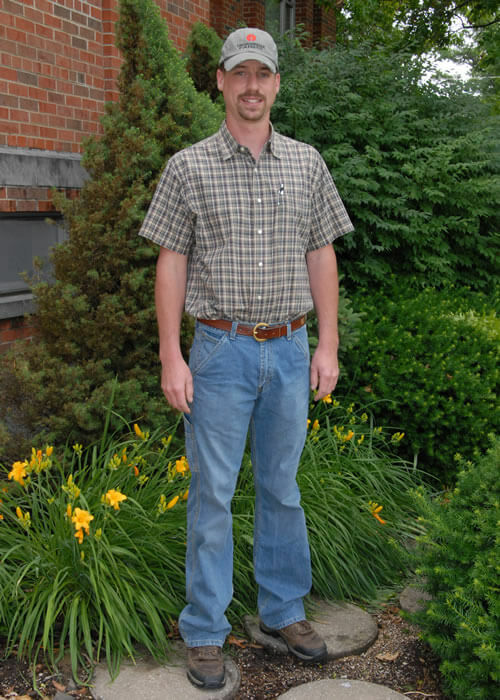 The middle son of the Trowbridge Family, Phil, after growing up on the family farm, went on to Alfred State College and earned his degree in 1976, where he majored in Animal Science. The day after graduation he reported to work as a herdsman at Gallagher’s Angus Farm in Ghent – a fledgling business owned by restaurateur and entrepreneur Jerome “Jerry” Brody. Now, more than 30 years later, Phil, his wife Annie, and their two children, P.J. and Amy own and operate their own family Angus operation in Ghent, NY, on the eastern part of NY state, where the Trowbridge Angus legacy is getting stronger and stronger every day. Phil’s son, P.J. Trowbridge, is also full time on the farm today. After receiving his degree from SUNY Cobleskill in Animal Science, P.J. 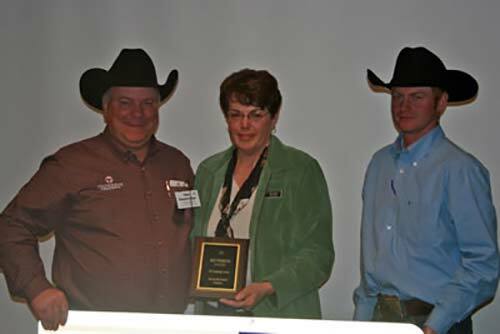 has become a very integral part of the operation, from crops to cattle to machinery. 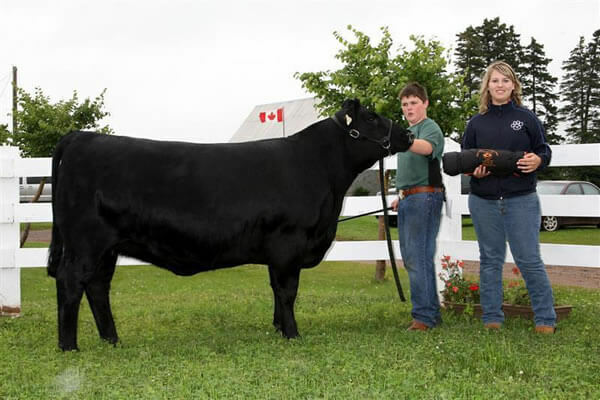 At the forefront of the Angus breed, Trowbridge Angus remains a showcase of quality purebred livestock. 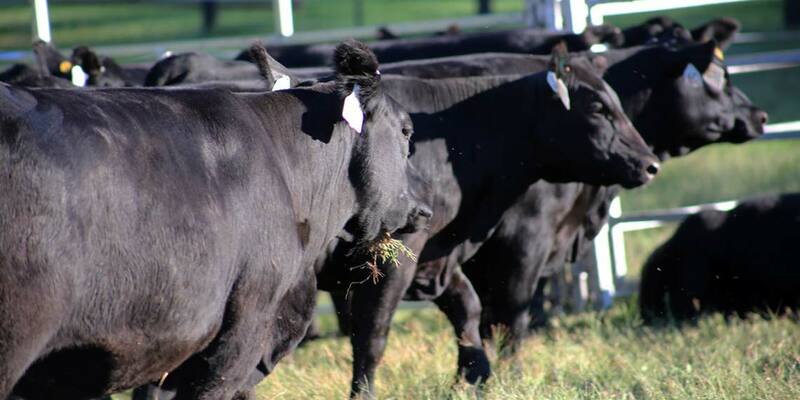 In keeping with their penchant for progress and ability to “stay ahead of the curve,” Trowbridge Angus is now among the first to utilize the National Farm Animal Identification & Records (FAIR) system. 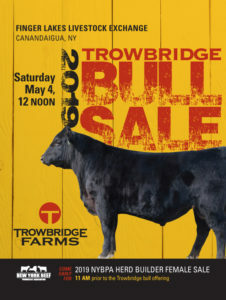 With realizing the need to help their customers sell their offspring, Trowbridge Angus has made many outlets to help in merchandising, such as how they are now planning a new registered Angus Sale in NY, as well as the annual Trowbridge Angus & Friends Sale of pregnancies and embryos held in conjunction with the National Western Stock Show in Denver, CO in January, their Annual Bull Sale every 1st Saturday in May, where they are also known for assisting in marketing their bull customers’ calves annually, and finally, their Annual Joint Female Sale every 4th Sunday in August. 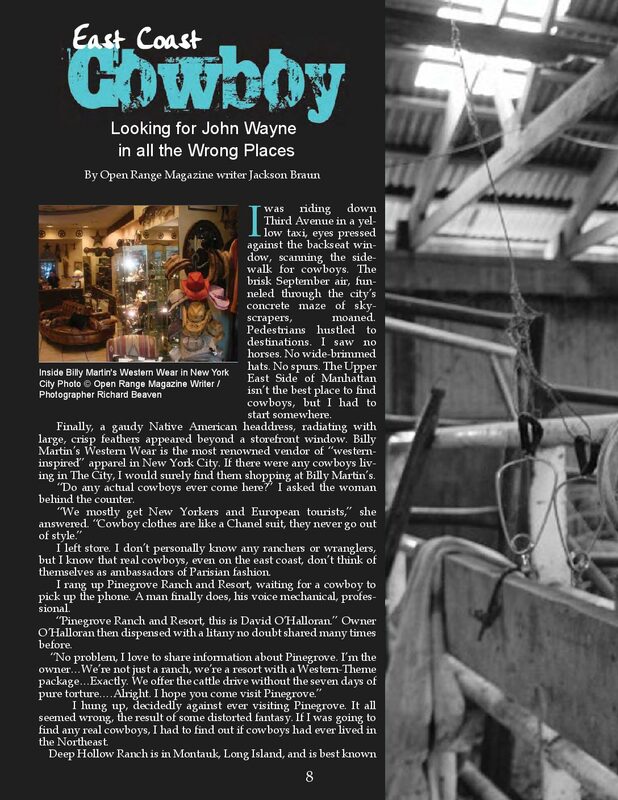 To keep up with the Trowbridges’, you can read Paul’s column every month in various agricultural publications, you can watch for ads from Trowbridge Angus, and you can check out their website, TrowbridgeFarms.com.